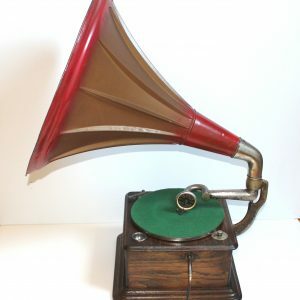 View cart “Thorens ‘Helvitia’ External Horn Gramophone” has been added to your cart. 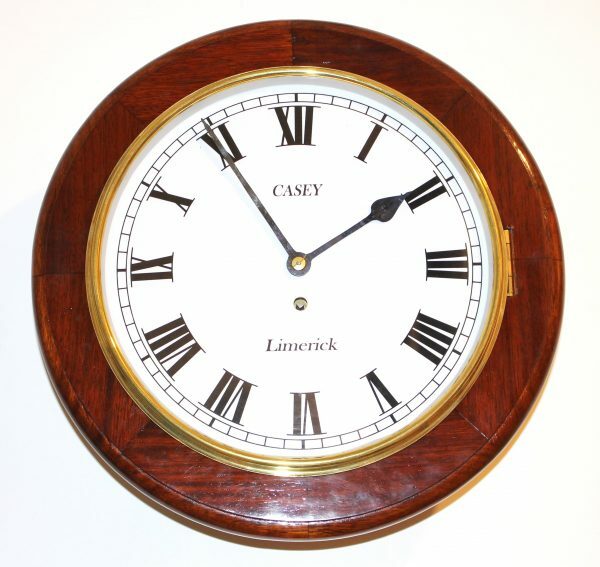 Casey Limerick Dial Clock This is a fusee time piece with the movement made by the well known Scots clock makers ‘Bryson’. 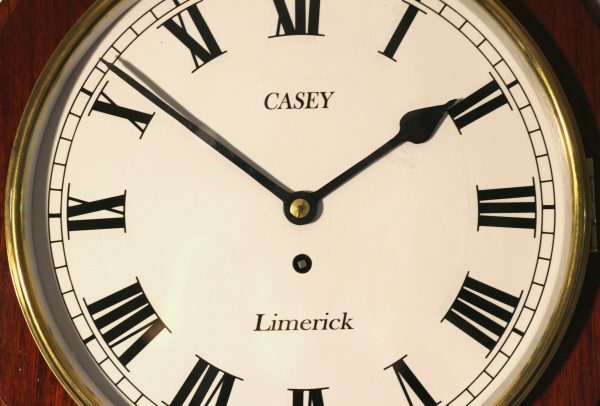 The case was hand crafted here at Casey Clock Restoration. 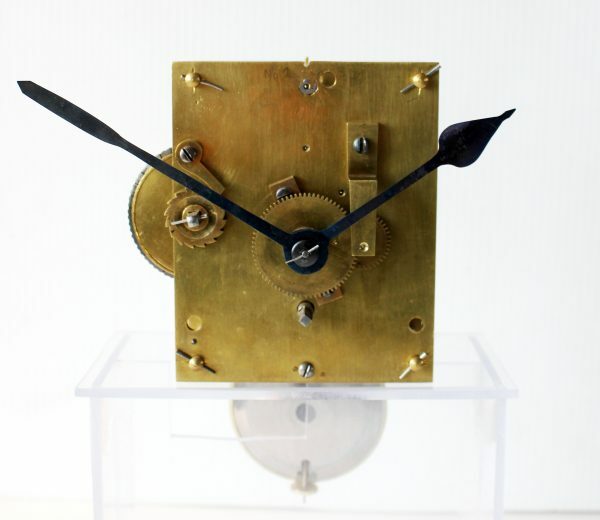 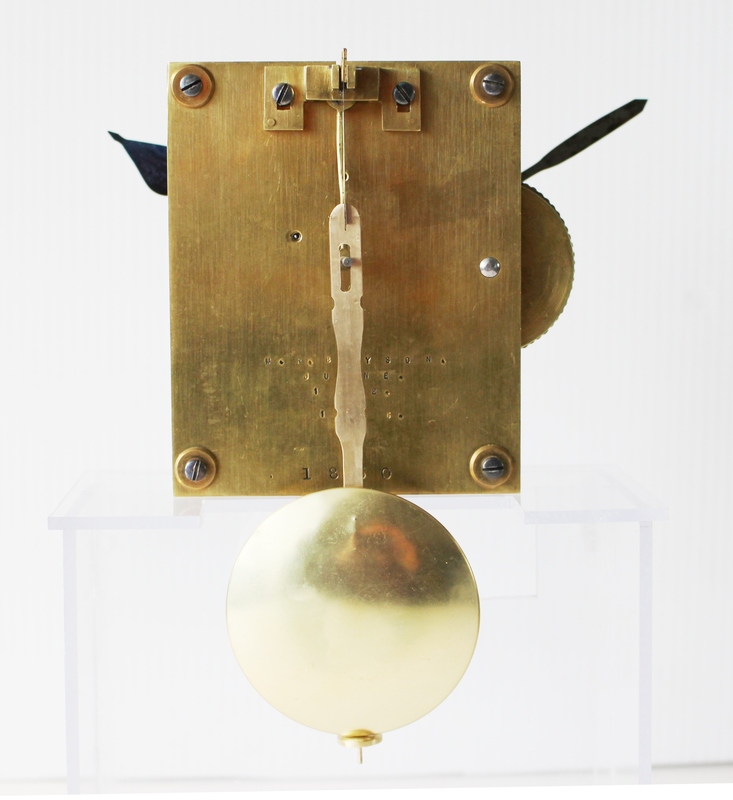 The clocks movement (mechanism) was made by the Bryson family who were mainly based in Edinburgh Scotland but other members of this family also worked in Aberdeen and Glasgow. 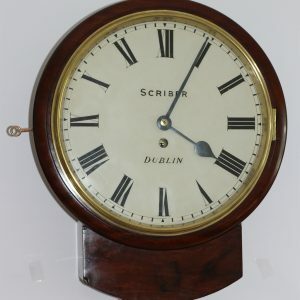 This particular movement appears to be made in Aberdeen sometime between 1890 – 1910. The entire case was hand made here at Casey Clock Restoration, the surround of Iroko wood with a Tulip wood back box. 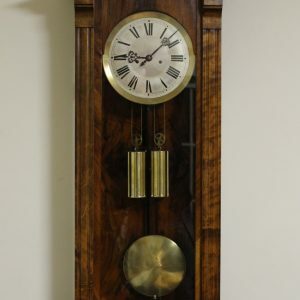 The hands, door latches, pendulum and dial plate are hand crafted, with the hands blued. 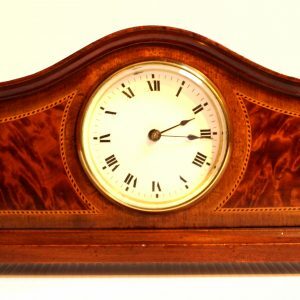 The case was finished in the traditional manner i.e. 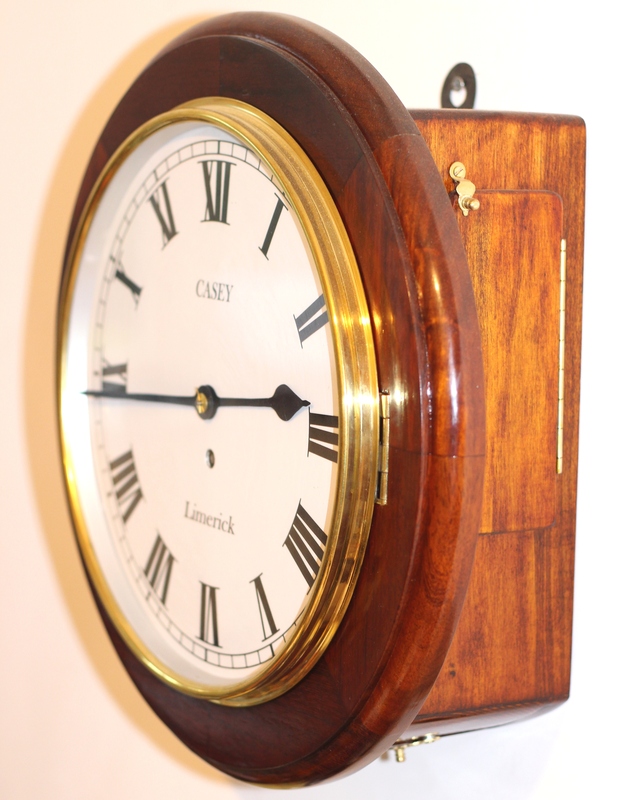 French polished and waxed.